my last day. | everything will turn out alright. ← 33 weeks and 3 days. i walked in to the store for my last day of work and was greeted with a surprise baby shower in the break room. 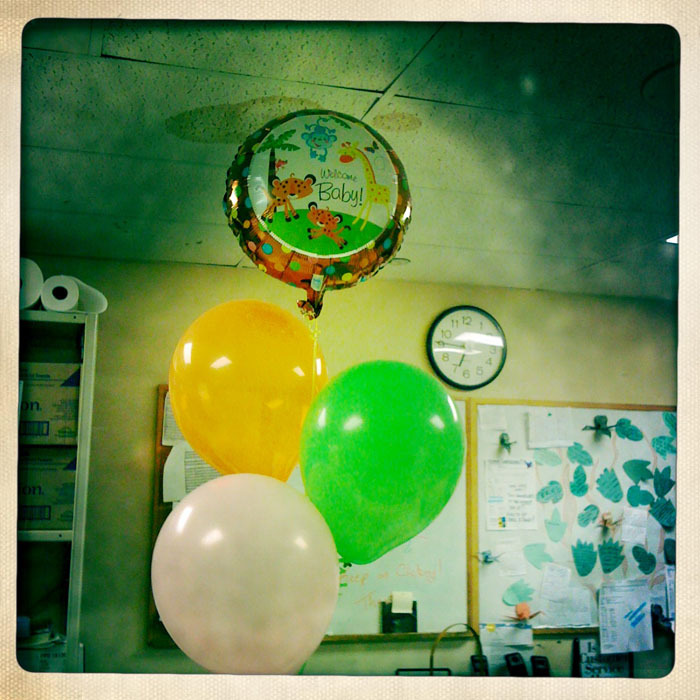 i told you the people i worked with are great! i didn’t have my camera on me so these pictures are courtesy of my iphone and my favorite photo app, hipstamatic. 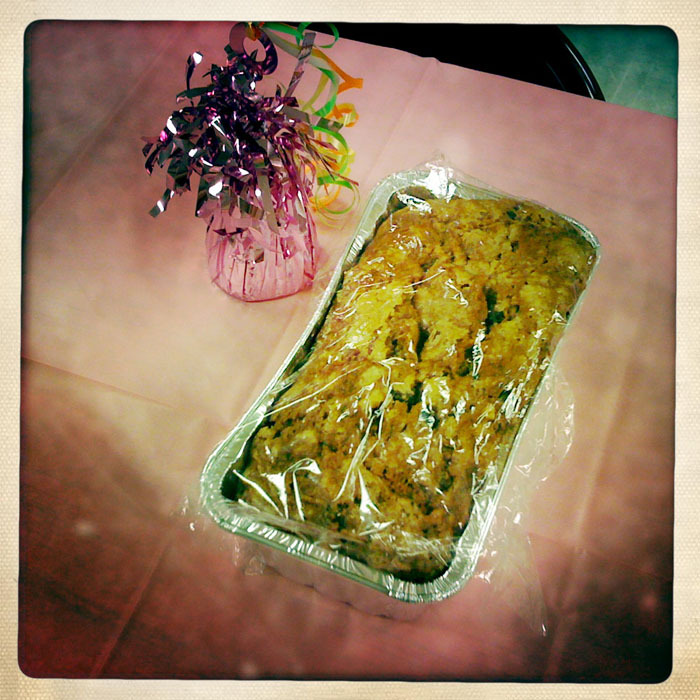 the cake was absolutely delicious and we received some beautiful gifts. i feel truly honored to have worked with all of these people. i got so many hugs, tummy pats, and well wishes tonight. my hormones got the best of me, and i ended up getting teary once or twice. i will really miss seeing these people everyday, but i am unbelievably excited to have this time to prepare for sylvie’s arrival. travis and i are going to call it an early night. we have our one-day hospital childbirth class tomorrow from 9AM-6PM. yikes! i’m exhausted just thinking about it. goodnight and happy friday! 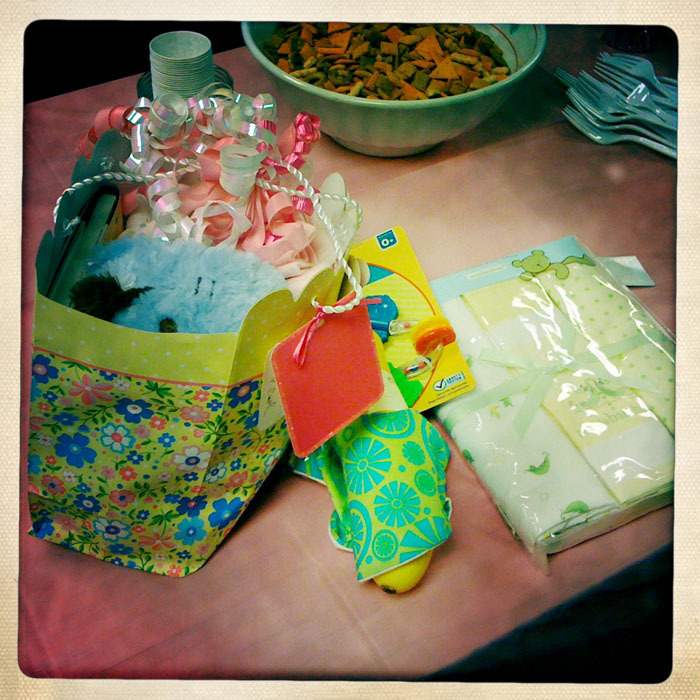 This entry was posted in Uncategorized and tagged baby shower, love, work. Bookmark the permalink. I hope the class goes well tomorrow. I really like those photos, would you recommend the app? A friend of mine uses shakeit and they come out looking like polaroids. I was thinking of downloading it but might try the one you use instead…. i really like this app. i have it on the higher quality setting so the photos take a minute to “develop”, but it’s worth the difference in quality. i’ve never used shakeit, but i’ve heard good things. i would definitely recommend this app. This is such a sweet thing to read. SO amazingly excited for you guys. What great friends (coworkers?) you have. my friends/co-workers are really phenomenal. i couldn’t ask for more! And oh my lord, that shirt you’re wearing in the post beneath this is beautiful. I really love it. thanks! it’s actually a non-maternity shirt, but it still fits well over the bump. i think i got it off the urban outfitters sale rack a while back. 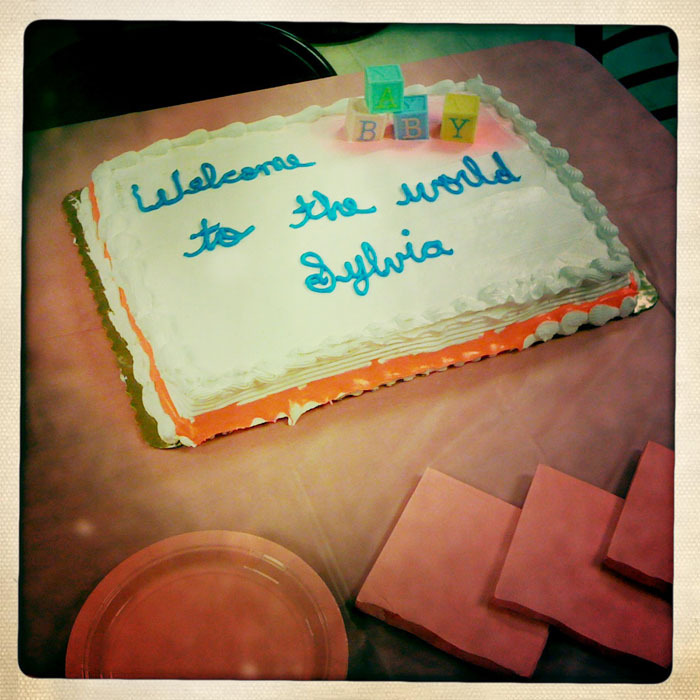 The first cake with Sylvia’s name on it! i know! it was strange to see her name in print like that. i just stumbled upon this blog and i love it. will keep reading. :)follow mine too if you like. Thanks for stopping by. I enjoyed going through you blog, as well.